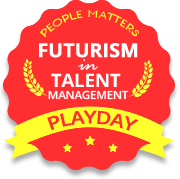 Playday offers in-platform messaging and newsfeeds keep trainees up-to-date with the latest peer activity while enabling more communication between the participants. Basically, this is a peer-to-peer messaging service to enable communication within portal users. It also, enables users to invite new participants using email IDs. Playday also provides Single sign on feature using Facebook or Twitter credentials in case the company email is not allowed to be used, or is not available. This enables communication among the users both within the application, as well as on social media. In addition to Single Sign-On, we can integrate with LDAP, Active Directory, Google’s App Engine, Cloud based CRM applications such as Salesforce, and provide APIs to any Learning Management System. Playday is a hosted system, which means we take care of file storage and IT support. All Playday accounts are password protected and when you’re online using Playday you're protected by a SSL (HTTPS) secure connection. Multimedia Content: Upload powerpoint presentations, audio files, video files, pdfs, text documents, from offline and offline directories such as Google Docs, SlideShare, YouTube, Dropbox etc. Device enabled: Playday’s platform is compatible with a wide range of tablets, smartphones and other handheld devices. Comprehensive Learning: Playday enables gamified learning, social learning and mobile learning, with built-in analytics and reporting in order to assess learner’s skills better. User-Friendly: Playday’s easy-to-use interface, and interactive features that can help you build engaging content makes it highly popular with users and organizations. Training Drilldown: Playday offers users the ability to drilldown from group to user to activity to task level, and get insights on user behavior. Communication Features: In-platform messaging and newsfeeds help trainers and learners interact with each other seamlessly, and exchange data with ease.